The Malaysian Palm Oil Board is a national organization of the government of Malaysia to support and promote Palm Oil plantation as well as usage of palm oil products. Palm oil is used locally for cooking and the food industry is using in their products. Today it is an important export good. 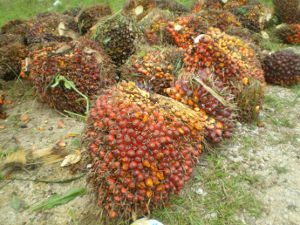 There are high governmental investments to test new technologies in the palm oil mills. As the cultivation is successful they also expand their fields towards Indonesia. In each mill there is a steam boiler with 20m3 or 40m3/hr. The steam is used for power production and in the refining process of the palm fruits or seeds. The seeds are cooked in the steam to separate the wanted seed from the unwanted surrounding cover. Later palm oil is extracted by pressing the seeds. Such Palm Oil mills are located all over the country, a lot of them in very remote areas. Different kind of water is used as source for the steam boiler feed water. There is surface water, water from reservoirs or ground water. The water is treated chemically to avoid limescale formation and corrosion. Nevertheless, in most of these steam boilers incrustations can be found and corrosion is never brought really fully under control. Especially the incrustations are a problem as they reduce the heat transfer. This means that more energy is needed to produce the same amount of energy. In cooperation with the MPOB we did a 12 months trial in one palm oil mill. Our aim was to see how far the Merus technology is able to improve the water quality in the steam boiler. The accompanying goal was to get an impression of the possible cost savings. We installed one 4“ Merus Ring at the inflow of the boiler. Supplementary the water was treated with chemicals as usual. Furthermore the periodic monitoring was done by MPOB. Whilst the trial period, MPOB tried to find the optimized dose of chemicals to increase the efficiency of the water treatment. As a result the dose was reduced by 15-55%. These tremendous cost savings could be associated directly to the effect of the Merus Ring. Moreover it was clearly visible that limescale as well as corrosion in the steam boiler was reduced significantly. The annual cleaning did take less effort and therefore time as the (few) existing deposits had a soft texture and were easy to remove. The MPOB concluded, that the heat transfer in the steam boiler was more efficient as the deposits were reduced. See the original report by MPOB.